Eliminate spills and clutter in your vehicle with this leak-proof, high-strength space organizer. 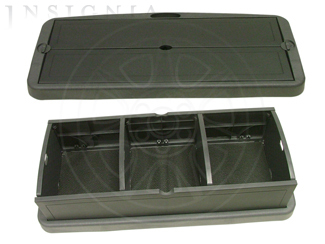 It's constructed of polypropylene and has removable dividers to create custom storage spaces. Folds down to a slim, space-saving three inches flat. 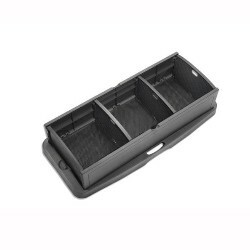 Molded handle grip allows for easy transport of folded organizer between vehicles. It's lightweight for quick removal and installation while its sleek design is sturdy and easy to clean.. This product replaces 12497899.